HAPPY HALLOWEEN! 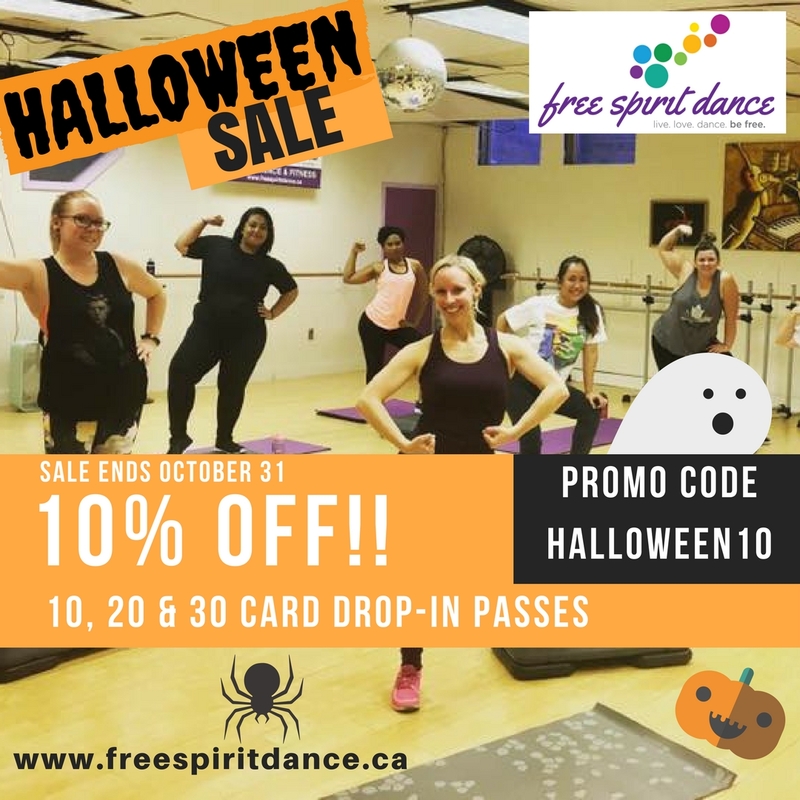 Enjoy 10% off all 10, 20 and 30 card drop-in passes. Your pass won’t activate until the day of your first visit and not the day of purchase. Enter promo code HALLOWEEN10 at checkout to save. SALES ENDS OCTOBER 31 at midnight. We are a dance and fitness studio just for adults with over 20 drop-in classes a week to choose from. Life begins at the end of your comfort zone. Try something new!